Hi everyone! Hope you’re doing well. Sorry, I’ve been kind of absent…I’ve had a lot going on lately. Anyway, I’m finally getting around to sharing a few photos that I took a couple of weeks ago when my kids and I visited the Oliver Kelley farm. I wish I would’ve been able to get more pictures, but my camera battery died almost as soon as I got there. I know…great planning on my part! I threw a few other photos into this post that I took recently…ones that have a farmy-feel to them just to mix it up a bit. But anyway, maybe I should share a few tidbits about our outing since I don’t have a whole lot to show you. The first thing I love about this farm, is that it’s located not too far from where I live. Situated just off the highway, down a long dirt road, it’s nestled behind a grove of trees alongside the Mississippi river…such a pretty setting. I kind of feel like it’s a little hidden gem. The thing that makes it so interesting is that it’s a working farm from the 1860’s. The workers dress in period clothing and carry out the typical farm duties from that era, such as plowing the fields, gardening and tending animals. Visitors are welcome to join in, if they like, too. If I remember correctly, the farm has a total of sixty-two animals. We found many of them freely wandering and grazing on the land. We’d be standing there and a huge ox would meander past or a group of pigs. I can’t think…what would a group of pigs be called? A herd? Anyway, we loved it. We had to laugh when we saw this pig rolling around in a muddy hole. He seemed so happy! Of all the animals there, guess what my kids loved the most? The kittens! Something we see plenty of every single day. I have to admit, those kitties were pretty darn cute. I wish I could’ve gotten a photo, but they were so crazy running this way and that, that it just looked like a blur. One of the guys there told us we could take the little cuties home with us, if we’d like. Yeah, we wanted to, but we have our hands full with the two we have now. This is the sort of face I got when I told my kids no…over and over. Lastly, let me show you this guy. He was quite the character! From the first moment I saw him, until the last, he spent all his time strutting around this coop, looking at all the other chickens inside and crowing. Round and round he walked…peering in. Isn’t he handsome fellow? I think having a few chickens around would be such good entertainment. We had ducks once and found them to be so funny! Well, that’s all for my day of farm fun. I hope you enjoyed it. The best place 4 summer vacations! ohhhh the first image is OUTSTANDING! and thank you for the reminder that i need to bring an extra battery to paris! Sounds like such a fun day! The picture of your daughter looking pouty cracks me up. We have a period farm I've been wanting to visit, but it's so humid here you are soaking wet within a few minutes (not fun). Hopefully we can go when it cools down. looks like a fun farm visit. Beautiful photos as always! That look on your daughter's face is so funny. I have seen that look before at my house. The farm looks like a fun place to visit and a fun place to find some kittens if you are ever in need. Sounds like a fun-filled day! I love that look on your daughter's face. Boy have I seen that many times when mine were young. That rooster is huge! Thanks for sharing these great photos with us! 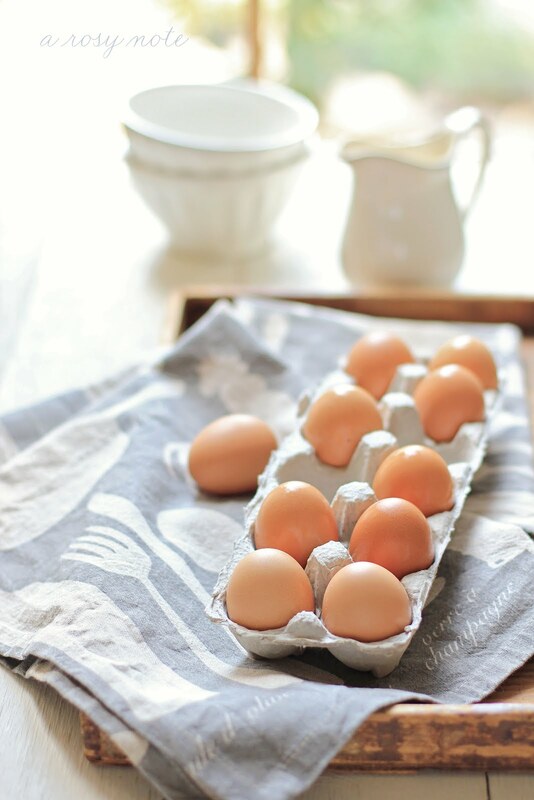 I absolutely LOVE the picture of that pig with the cow in the background…and those eggs! 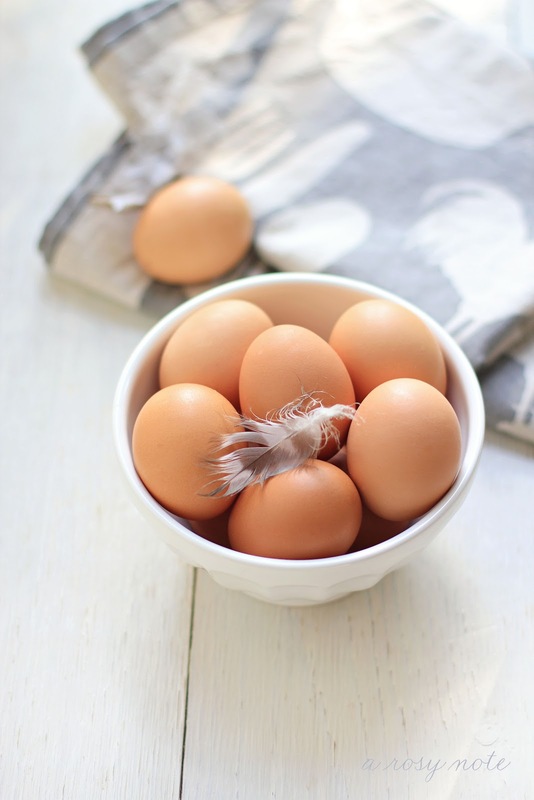 I love the idea of having fresh eggs…no such luck…my hubby will not cave! It looks like all of you had so much fun…it was a gorgeous day! 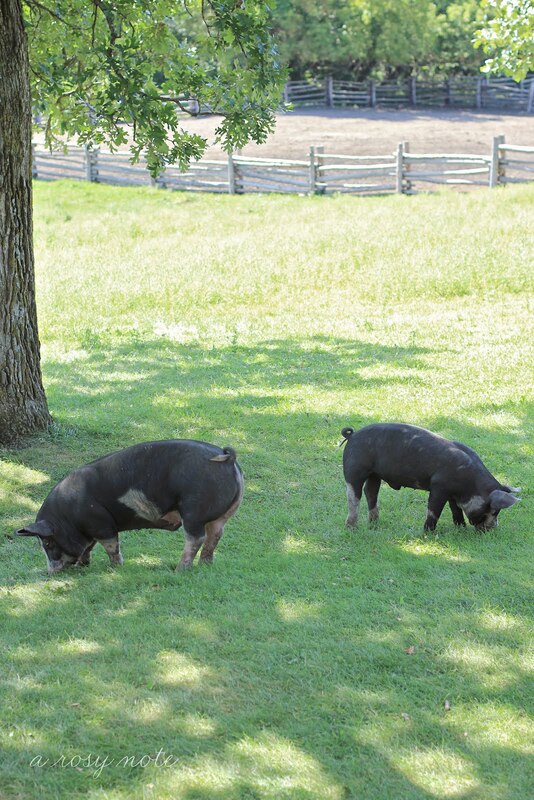 Love your pictures, especially the one with the pig rolling in the mud! lol! Have a great week, Tricia! 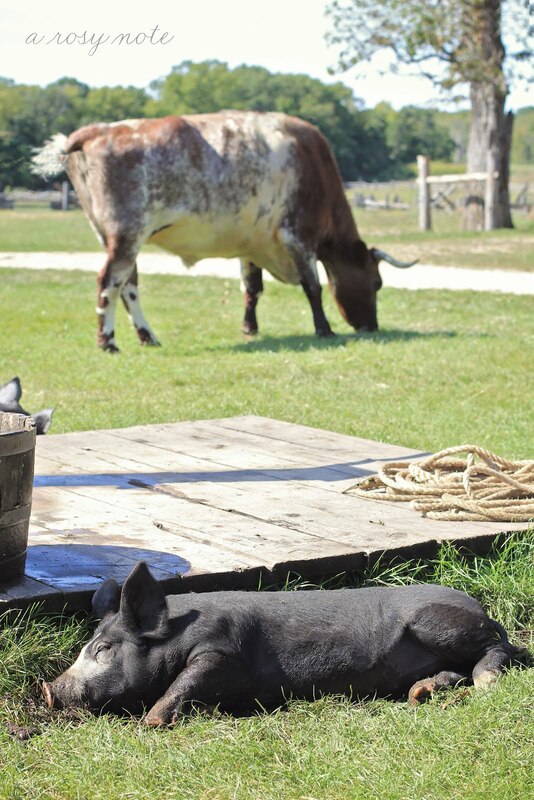 I always love your blog, love the pig resting in the grass. Such a lovely, lovely post! The photos are amazing, gorgeous creatures all of them, especially the little one with the 'not kitties coming home with us' face hehe! Thanks for sharing such a great day out! your photos are amazing – so pure and bright. Love being in the barnyard! what a beautiful farm. your photos are the perfect compliment!! What a fun post, Tricia! Looks like a great place to visit and the picture of your daughter is priceless… I think I've seen that face before. 😉 Have a great week. What a wonderful post, Tricia…really makes me want to go there with the grandkids! Beautiful photos! What a great farm to visit. Looks like you all had a great time. I love places like that. Hvor er pigen på dit andet sidste billede sød og fint klædt på. Loved reading this and viewing your great photos! Nothing like a working farm and how cool that the workers wear period costumes. I had to laugh when seeing your daughter's expression. Boy is that familiar. It always seems like farm cats are the happiest cats. 🙂 Looks like a really great farm – gorgeous photography! Aw c'mon Mom, what's one more kittie?? Your photos are just lovely and this farm looks fairy-tale like. So sorry to read about your sweet dog, you have my sympathy. I'm your newest follower, I just love fun and cheery blogs!! Even though we live in a farmhouse, we don't really live the farm life. We need some chickens! Who doesn't love a pig in mud:) Looks like a fun day and a great place to visit. Thanks for your kind words last week, things are starting to come around. Beautiful farm fun! But how did you get your daughter to stand and make that face….AND take a picture of it!!! THATS a feat in itself. What a great way to end the summer! Great photos of the farm and your sad faced daughter, too. 🙁 Meow. What a wonderful tour of that farm – had me smiling and then laughing when I saw your daughter's sad face (so so cute)! Great photos and such beautiful children! Looks like everyone had a great time! 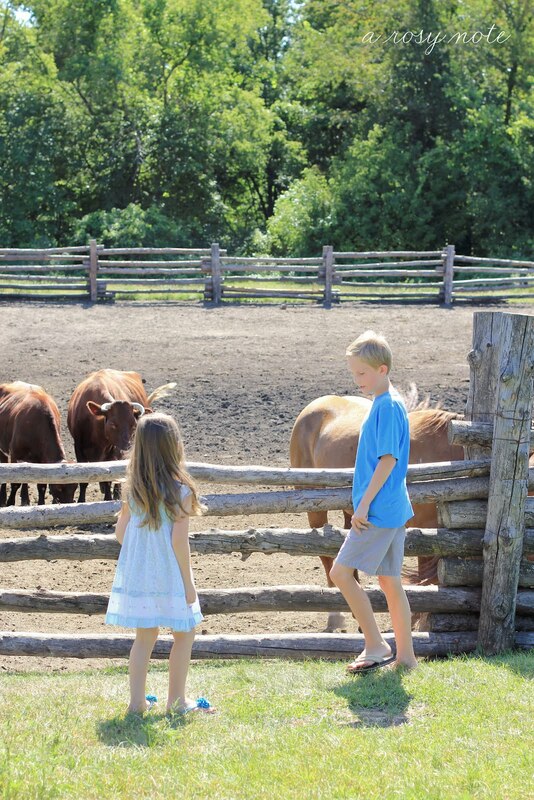 How fun to take a trip to a farm. Sounds like the perfect way to spend the day… I have to admit I would love the kittens the most also.. Your photos are so wonderful and I enjoyed seeing them..
so many lovely photos, looks like such a fun day! Your photos made me feel like I was right there! I love the clear light of all of them! So beautiful!!!! BTW… I hate it when my camera battery dies before I'm done shooting. So sorry to read it happened to you. Oh, and your new banner is really cute. I just noticed…look at me and Murphy in my picture. I have been thinking about him a lot lately. How fun to go to the farm and capture a (few) shots before said battery died…I just hate when that happens and it has happened to me more than once. Great shots and I love the look on your daughter's face…made me giggle because I have seen that face on my children in days gone by. How much fun this must have been, Tricia! I love the fact that some of the animals were able to roam free. It must be a very special place indeed. such a beautiful post, Tricia! I love this farm, and the way they treat their animals. The picture of your daughter is priceless! 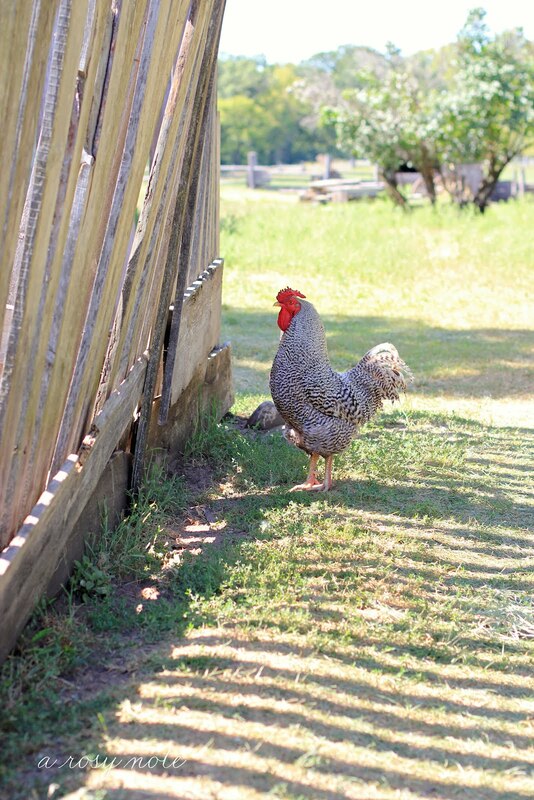 Those chickens are my favorite (I know it's a picture of a rooster….) Love their polka dot feathers! 🙂 thanks for taking us with you! These are adorable!! Love love farm photos. That photo of your daughter is great! Such lovely photos of what appears to be a very lovely day. Great fun, Tricia, and terrific photos! A day out in the country amongst animals is always a good day, for kids and adults. I hope you are well. Wishing you a happy weekend! Ah, the life of a pig! I wouldn't mind resting in the sun. Thanks for sharing your day. 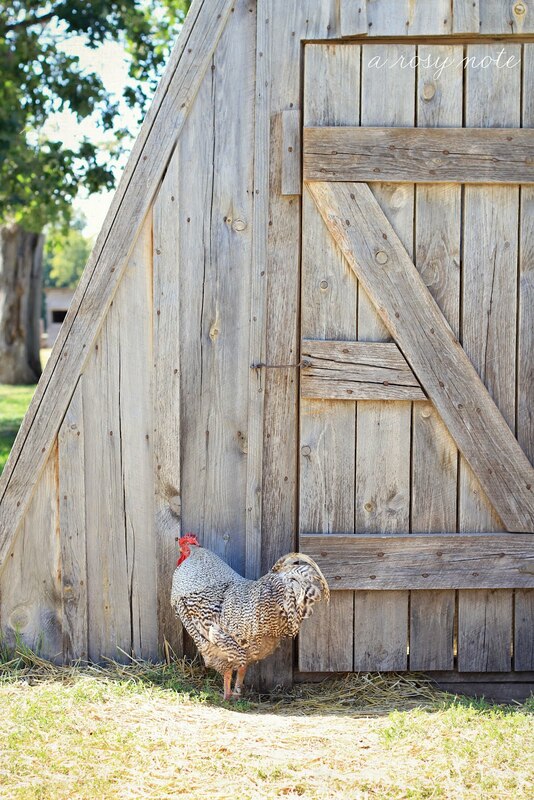 Oh I adore these farm pictures!